Thai Longtail fishing boat, Hua Hin, Thailand. A long-tail boat is a boat which has an engine mounted on it’s stern, the engine and propeller shaft are able to swivel through more than 180 degrees, the defining feature of the Thai Long-tail boat is the length of it’s propeller shaft, the propeller shaft of a Longtail boat is usually 2 meters or more in length. 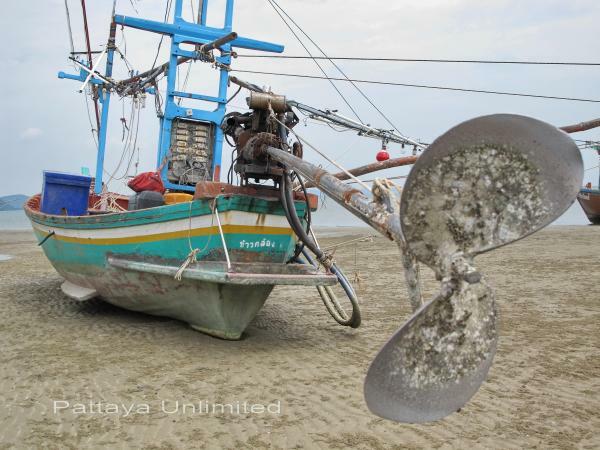 The photo (above) shows a Thai Longtail fishing boat with it’s propeller aimed aft over the stern, this gives it the appearance of having a long tail, hence the name “Longtail boat”. Longtail boats are commonly used on all waterways in Thailand, from the floating markets and canals of Bangkok, the rivers and tributaries of Thailand’s fishing villages, and taking tourists island hopping around Phuket and Koh Samui’s clusters of neighboring islands. 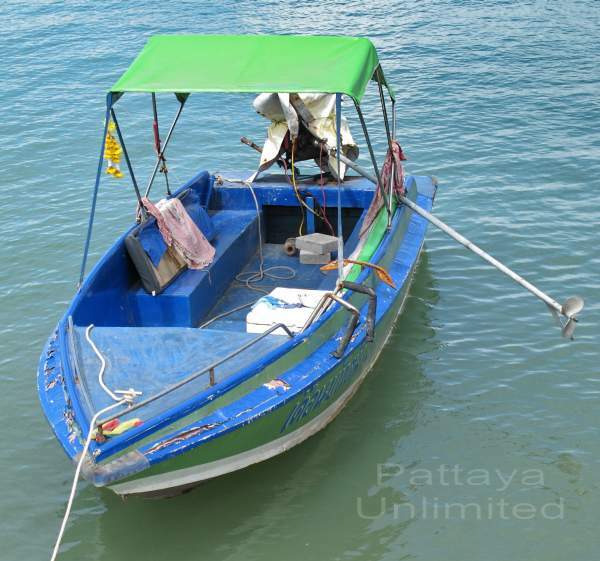 The one in this photo (above) was used to fish the coastal waters south of Hua Hin. Longtail boat pictured off Bali Hai, South Pattaya, Thailand. The Longtail boats of Thailand are many different shapes and sizes, from quite large fishing boats, to narrow, sleek and fast water taxis. The one pictured (above) is probably about the average size of a Long-tail boat. Longtail boat at Naklua fishing pier, Pattaya Thailand. The Longtail in this picture (above), looks comparatively small, the propeller shaft is almost as long as the boat, but the Thai’s can adapt the Longtail engine for use on most boats, be they big or small. 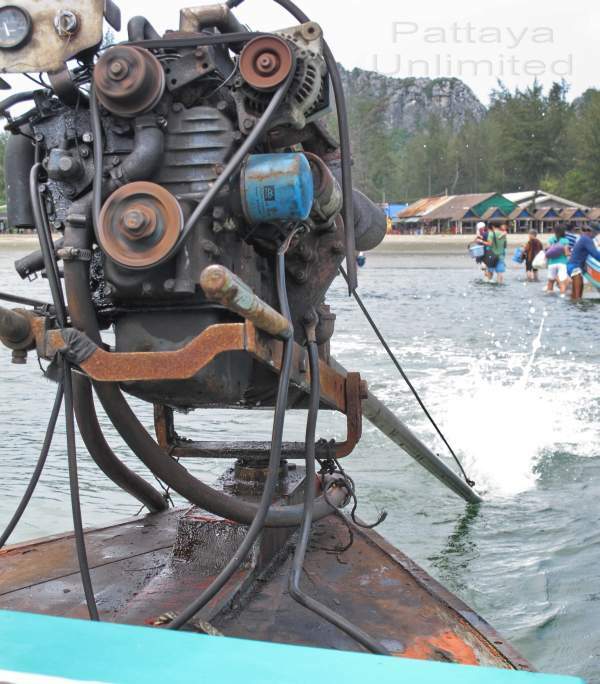 A typical engine used on the Thai Long-tail boat. Why are Longtail boats so popular in Thailand. Longtail boats are so popular in Thailand because they mainly use secondhand car and truck engines (as in the photo above) which are cheap to buy plus cheap and easy to maintain. The propeller shaft is simply an extension of the engines drive shaft. To cool the engine, rubber hoses are placed beneath the stern of the boat to draw cooling water to the engine. Long-tails are also popular because their versatility, they can be easily fitted to most boats. Maneuverability is another factor, because the propeller shaft can be swung around more than 180 degrees it makes the boat easy to maneuver, it can also be lifted clear of the water with consummate ease, meaning floating debris can be easily avoided. 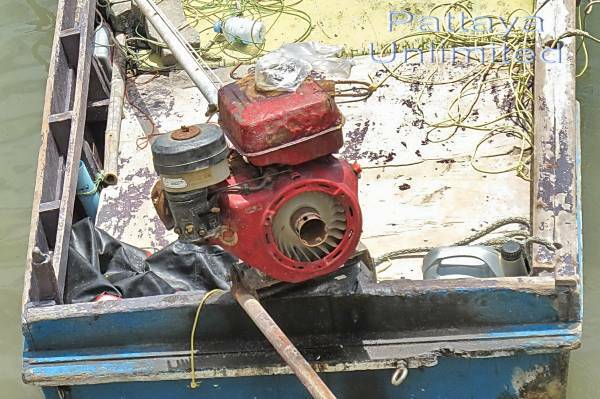 A smaller engine adapted for use on a Thai Longtail boat. Other engines can also be modified for use on Longtail boats, some are also air cooled, Small agricultural engines seem to be one of the more popular choices.